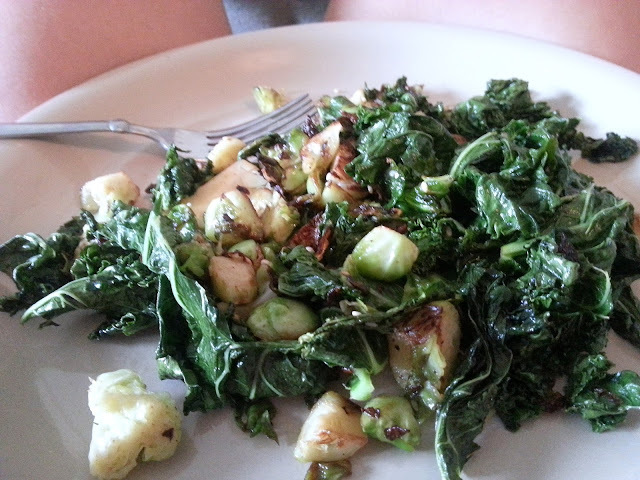 When you have greens in the fridge that are near their end, there's always he option to saute! This is probably my favorite way to eat them! When Kaydin isn't around for dinner and Tim is at the gym late, I get to choose whatever I want to eat! Usually these nights are a mish mash of lots of different things, not a well-matched meal by any means. This time when I opened the fridge seeing the brussel sprouts and kale, it was an easy decision. Note: If you don't have garlic infused olive oil, add 1/4 tsp of garlic powder. 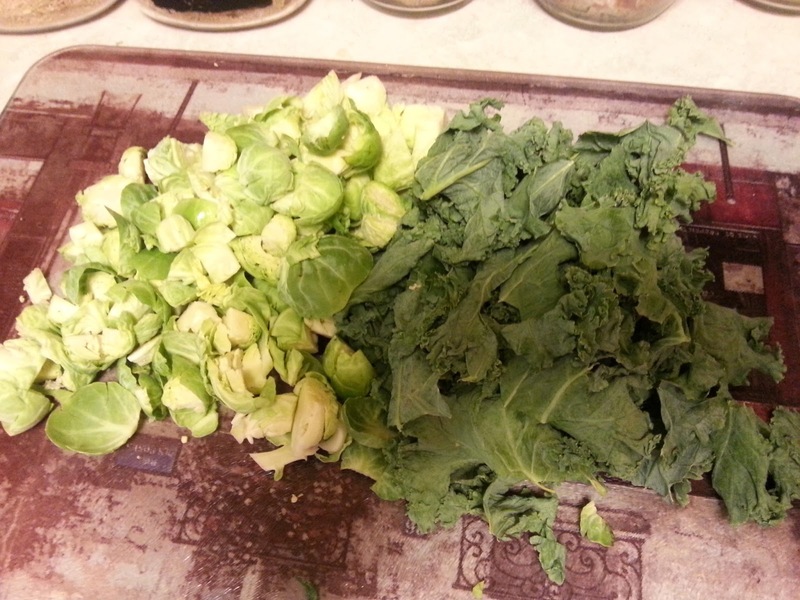 First, remove the bottom stem from the brussel sprouts, then cut in halves or quarters. Rinse the kale well and remove leaves from the stem. Heat oils in pan over medium heat. Add greens and cook for 3 minutes. Add all spices, stir, and cook for about 5 minutes more, stirring occasionally.